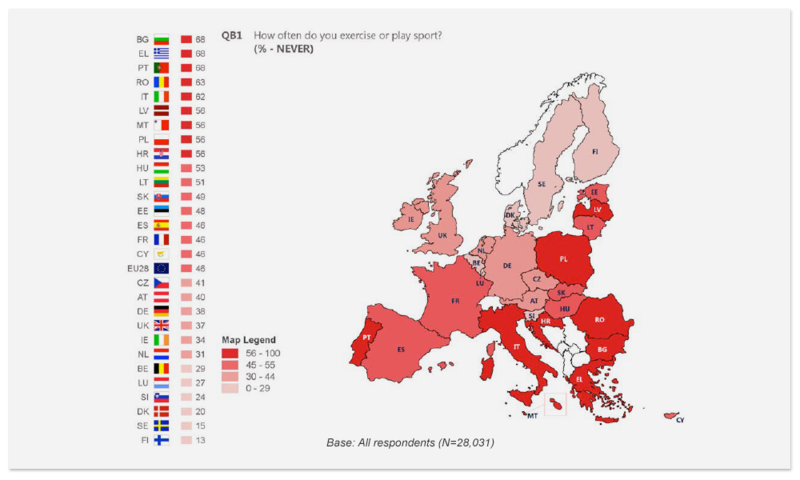 The report, unveiled by Commissioner Navracsics in Sofia during the annual EU Sport Forum, shows that levels of participation have not changed substantially since the previous Eurobarometer survey in 2014. In fact, the proportion of those who say they never exercise or play sport has slightly increased from 42% to 46% Europe-wide, and this is a continuation of a gradual trend since 2009. 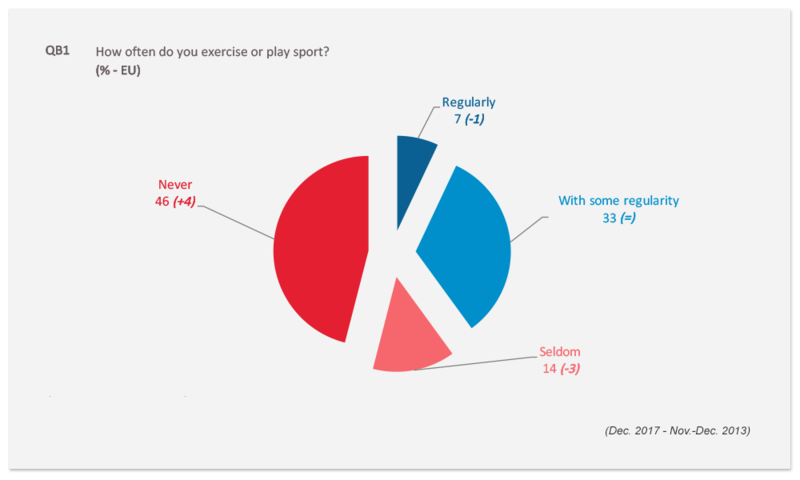 Six countries that have seen an improvement where more citizens say they exercise or plays sport: Belgium, Luxembourg, Finland, Cyprus, Bulgaria and Malta. Measures taken to increase physical activity, since the last Eurobarometer in 2014, are likely to take a few years to produce tangible effects and change people's behaviour, especially since a lot of the effort is focused on young people. "The new figures show how vitally important it is to continue our efforts to promote physical activity and healthy lifestyles. I strongly encourage all actors, from public authorities to sports organisations, to intensify their efforts and work together." The Eurobarometer also shows that most physical activity takes place in informal settings, such as parks and outdoors (40%) or at home (32%) or during the journey between home and work, school or shops. Still, 15% of Europeans do not walk for 10 minutes at a time at all in a weekly period, and 12% sit for more than 8.5 hours per day. These figures emphasize the crucial role that other actors can play: employers, for example, can help addressing sedentary behaviours at the workplace, and cities and local authorities can also play a part in helping citizens be more physically active in their daily lives. The main motivations for participation in sport or physical activity are improved health (54%) and fitness (47%). Lack of time (40%) is the principal barrier. 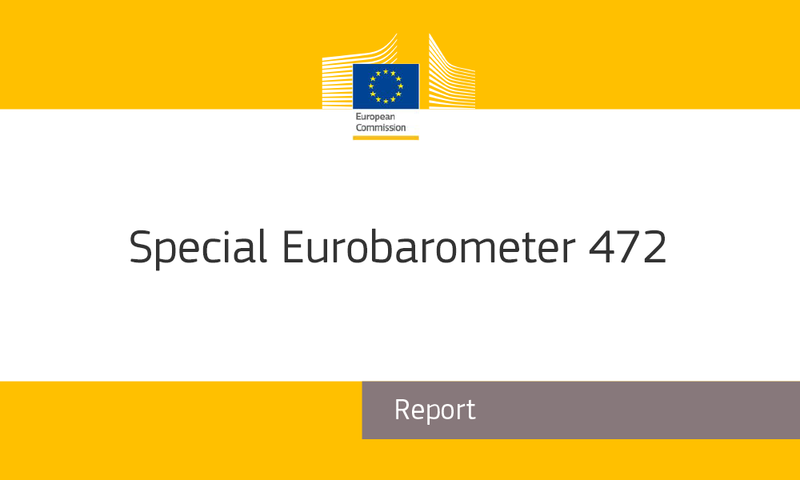 This Eurobarometer survey was carried out for the European Commission by Kantar Public in the 28 Member States between 2 and 11 December 2017. Around 28 000 respondents from different social and population groups took part in the poll. The survey follows comparable surveys conducted in 2002, 2009 and 2013, and will contribute to providing data to support the development of policies to promote sport and physical activity.